I do not know what's going on but omitting the issue of a certificate still have build errors in rom-o-matic and Linux. About a month ago I had no problems with building iPXE on rom-o-matic and on Linux. (2016-04-04 18:25)mastacontrola Wrote: I tried to go to the page and the certificate information is perfect. It is impossible! What operating system and which the browser? Google Chrome says: "The server did not provide information about the certificate"
Firefox says: "The site owner rom-o-matic.eu it incorrectly configured." 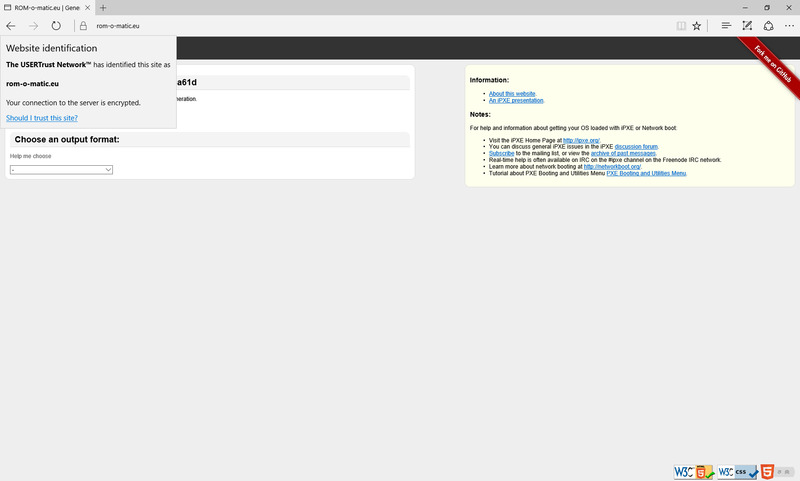 The only browser I see as having a problem is Firefox Here's that screen shot. 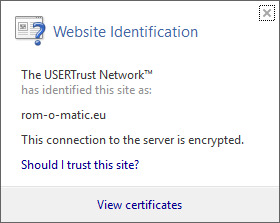 Yes, in Chrome, Edge i IE rom-o-matic.eu display page is OK but the certificate is not signed by a trusted authority. (2016-04-06 12:31)Gelip Wrote: Yes, in Chrome, Edge i IE rom-o-matic.eu display page is OK but the certificate is not signed by a trusted authority. I have no control over what Firefox is using as the "trusted" checker. I'm also not sure what digicert.com or sslshopper.com are using as their "trusted" checker. 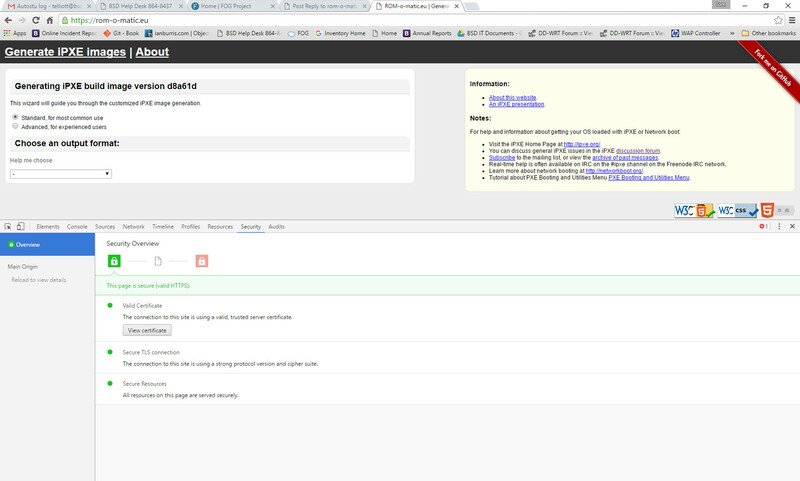 What I see in the three other browsers is the certificate is valid AND trusted server certificate. 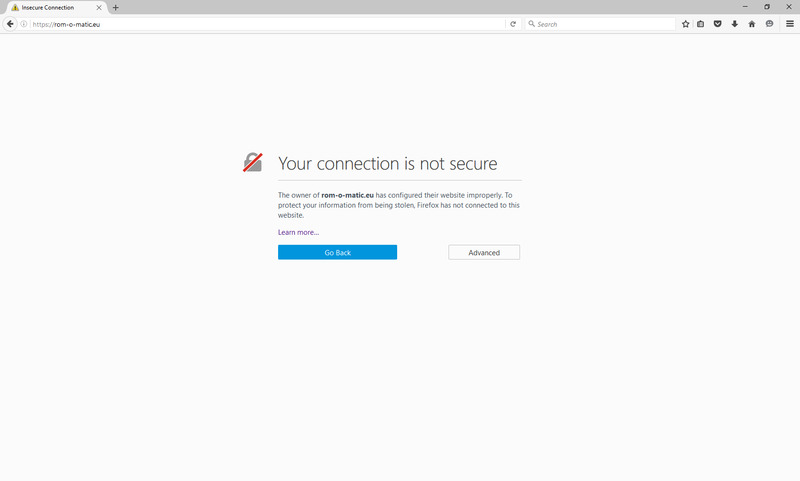 It is quite possible one of the intermediary are missing, but if the ONLY browser that seems to report this as "insecure" is firefox, I'm going to lean and say they've got something strange going on with their own set of trusted certificates. Ad. IE - why browser dispalys blue question mark icon [?] and not green like e.g. mozilla.org, paypal.com, mbank.pl etc.